Have you had a Development Approval come back recently with the amended requirement for a Sump under the OSD tank outlet? We have seen this happening more and more frequently in the past six months, which has instigated serious Research and Development here at Australian Tanks in order to find not only a simple and affordable solution on-site for your client, but a simple design solution for engineers who are regularly nominating our modular OSD tanks and systems. The design requirement, in conjunction with an orifice plate or multi outlet weir, trash screen and step irons/ladder where depth demands, has been in place in NSW for some time and is now incorporated into each system that we supply to Sydney and surrounding areas. Australian Tanks have tested and fine-tuned our Sumps to where it is simple for us to fabricate, easy to install and importantly, offers an inexpensive solution. 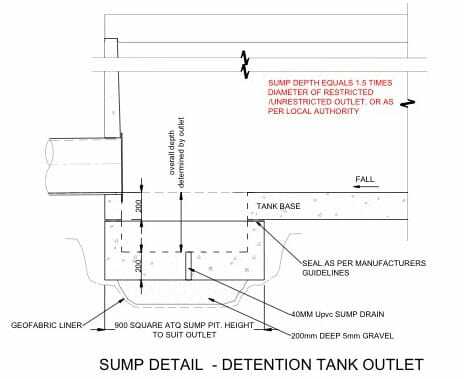 The Australian Tanks On Site Detention Systems provide many benefits, primarily our solutions are cost efficient, easy and fast to install, are manufactured under Australian Standards design codes, and can be backfilled and bear traffic immediately. 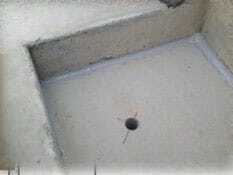 Additionally, the lifecycle costs measure well against alternatives as they are very easy to access, clean and maintain. If you’re interested in finding out more, please call one of our Civil Design and Business Development Specialists who can assist in developing a CAD driven design for your Sump and On Site Detention System, Grease Trap, or Pump Station.